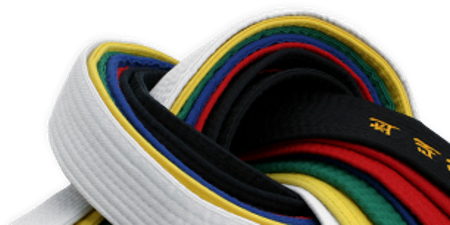 Seaside Dojo School of Martial Arts serves the Lewes & Rehoboth Beach area of Southern Delaware. We provide martial arts training, self-defense instruction, physical conditioning and leadership training for children, kids and adults. Our new facility is clean and spacious. Our classes are positive and upbeat, and we provide a healthy supportive environment for all students. For more information or to enroll, schedule an appointment for your free introductory lesson and trial classes today! "My daughter had a wonderful time with her friends. The children had fun playing games and learning how to kick and punch. And after the party was over, it was so nice not to have to worry about any clean up! We were thrilled with our party and hope to do it again!" "We had our birthday party for our son Ryan and everyone had a great time! I got to relax and take pictures while the kids played and had a karate lesson. I loved the expression on my son's face when he broke his first board. Thank you Sensei Ted for a memory that will last a lifetime." "Our birthday party at Seaside Dojo is one of the best birthday parties my son has ever had! The kids had a blast and I think the parents had just as much fun watching! The staff was very professional and very attentive to the kids. I would highly recommend parents consider having their kids birthday party at Seaside Dojo!" © 2019 Seaside Dojo. All rights reserved.